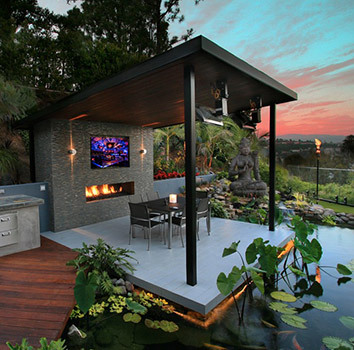 If you live in California, an outdoor living space is a must. Let Sophisticated Concepts design your next outdoor living space. We combine design, outdoor needs, landscape and outdoor product to create a beautiful outdoor retreat. So whether you looking to create a perfect place for outdoor cooking, dining, entertaining or simply a oasis escape to just relax. VC Home Improvement Center can help you make that space a reality. Feel free to stop by our showroom in Oxnard, CA. and come see our outdoor display in our showroom.